In this blog post, you will read about how to download all images, videos, HTML files from all opened tabs in Chrome. For that, you can install a free Chrome extension called “Simple mass downloader“. 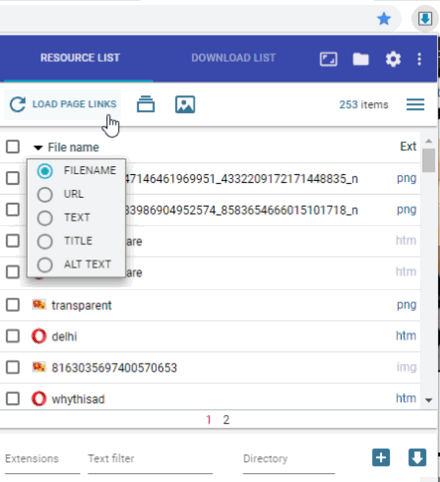 This extension automatically scans the URLs available in active tab or all tabs and download files related to those URLs. You just need to click the extension icon and you will see all the loaded links from the active or all tabs (depending upon the option set by you). This extension also lets you use other options. You can filter files to see the list of files of the same extension (or format) by adding the file format (HTML, MP4, JPG, etc. ), download selected or all files, show only images, and more. 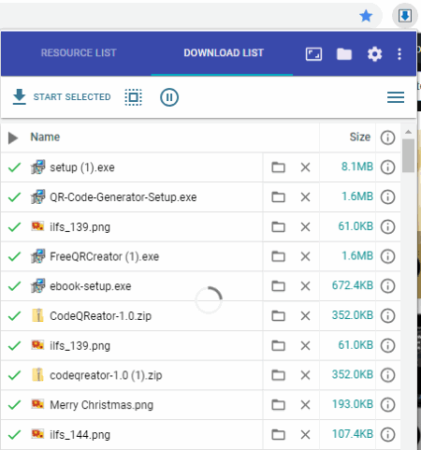 You can see in the image above, pop-up menu of this extension is visible where it is showing the files downloaded from opened tabs. When you download this Chrome extension (Simple Mass Downloader), an icon appears at the top right in the toolbar. And right after that, you will see a pop-up that prompts you to save Chrome Download Setting. Which means, If you won’t set the location of a saved file then you will encounter a lot of permission that prompts where to save each file in your system. So, set the location, wherever you want your download file to be saved. Using this Chrome extension, you can download all the links altogether from its interface. Here, link means all those links that are available on the web page (for example, links of any video, image, etc). And also, related to the file type like HTML, images, text, etc. You can download links of the active tab or of all the opened tab in your Chrome browser. To start, you can click on the Chrome extension icon. Then you will see three option at the top left in its interface. The first icon indicates that you can download links only of the current tab; the tab you’re using currently. 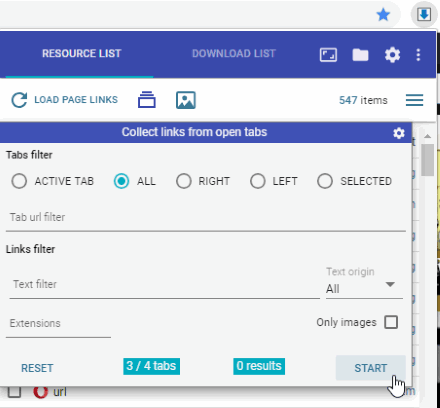 Clicking on the second icon means, you can arrange custom setting like if you want to download link of all the opened tabs in your Chrome browser. And, the third option displays only images of the webpages. You can see in the image above, here I clicked on Load Page Links, and it displayed a list of the links of images, videos, and text of the opened tab. Also, you can select any particular file option such as URL/Text/Title. Thereafter, you can download all the links or selective links from the list in the interface. The second option lets you arrange if you want to download link from active tabs, all tabs, tabs from right/left or selected tabs. You can also filter links by text, URL, extensions, origin, and images. You can use checkboxes to download any selected file. Also, if you want to display only JPG file then you can do that too. You can also write text to find files of the same name. Using this extension, you can arrange other setting options by clicking on the setting icon on the top right in the interface. 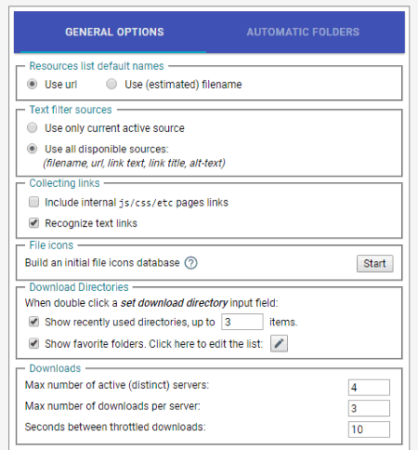 For example, you can use resources list default names as URL or estimated file name, collection links, maximum numbers of servers, downloads, etc. If you want more extensions to download images then you may visit this article where we have covered 5 different Chrome extensions. This extension is a good option to bulk download media files from all opened tabs or the active tab. You can download all images, videos and other content that is available in the form of a link on a webpage. The good feature is you can select which files you want to download.